The Feet First Soccer co-ed program is for toddlers and preschoolers to experience an introduction to soccer through the use of engaging, developmental activities and training equipment. All classes are taught by qualified Team Chicago Soccer Club trainers experienced with this age group. Feet First runs a fall session (Sep-Oct), 3 winter sessions (Oct-Dec, Dec-Feb, Feb-Mar), a spring session (April-May) and a summer outdoor session (June-July). Classes are not held over holidays or school breaks. Fall, winter, and spring sessions are held indoors at the WAA Sports Center, 2323 Liberty St., Aurora, IL. Summer sessions are held on Gentile Field, which is the outdoor field outside the WAA Sports Center. Classes are ongoing and can be joined at any time for a pro-rated registration fee. Children will utilize large motor skills while being introduced to different soccer skills each week using age appropriate training equipment and games. Classes meet once a week. (min 4 / max 12). Children ages 3-5 years will be introduced to the basic body mechanics and technical skills of soccer. Led by professional Team Chicago Soccer Club trainers, our Feet First curriculum uses engaging activities that teach foundational concepts and foot skills while promoting balance, coordination, and spatial awareness. Enroll your child for one or three classes per week. Classes are ongoing and can be joined at any time for a pro-rated registration fee. Shin guards are required for the 3-5 year old class. (min 4 / max 12). Children (18 mo to 5 yrs) will experience an introduction to different soccer skills each week with the use of age appropriate sports equipment and games. This class is taught by a Team Chicago Soccer Club trainer. Classes meet once a week. (min 6 / max 12). Classes are ongoing and can be joined at any time for a pro-rated registration fee. Participants should wear athletic clothing and gym shoes. Shin guards are not required for Feet First. Program held indoors at the WAA Sports Center, 2323 Liberty St in Aurora. Each class time will be 50 Minutes. Saturday Morning Feet First Toddler w/Parent (18mo—36mo) Children will experience an introduction to different soccer skills each week with the use of age appropriate sports equipment and games. This class is taught by a Team Chicago Soccer Club trainer. Feet First Soccer for 3 to 5 year olds - 3-5 year olds are introduced to soccer through fun games and age appropriate sports equipment, learning soccer skills while having fun with a Team Chicago trainer. Parent is optional. 18mo-36 month Program: Children will utilize large motor skills outdoors while being introduced to different soccer skills each week; using age appropriate sports equipment, music and games. Parents will participate with Team Chicago Soccer Trainer. 3-5 year old Program: Children are introduced to soccer through games and age appropriate sports equipment by a qualified Team Chicago Trainer. The class focuses on soccer moves, kicking, balancing, dribbling, foot-eye coordination, and running control, as well as, listening and following directions. Dates and Times: Saturdays at 9:00 am, June 8, 15, 22, 29 July 6, 13 or choose The first 3 weeks or the last 3 weeks! Location: Gentile Soccer Field (Outside at WAA Sports Facility), 2323 Liberty St, Aurora. 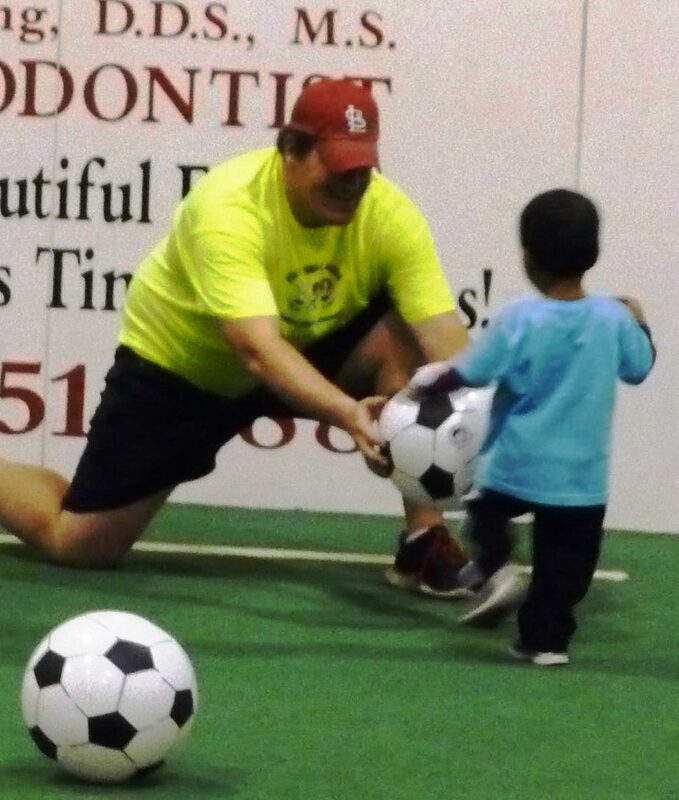 Saturday Morning Feet First Toddler w/Parent (18mo—36mo) Children will experience an introduction to different soccer skills each week with the use of age appropriate sports equipment and games. Class focuses on coordination, running, and interaction. Parents participate on the field with their child each week. This class is taught by a Team Chicago Soccer Club trainer. Participants should wear elastic waist shorts/pants and their Feet First t-shirt. First time participants will receive a free Feet First program t-shirt. Athletic gym shoes should be worn. No cleats allowed. DO NOT bring a soccer ball. Shin-guards ARE required for 3-5 yr old classes. Classes are held at 2323 Liberty Street Indoor Soccer Facility or outdoors at Gentile Soccer fields at the same address. Feet First Sessions run in 6-8 week increments throughout the year. Children ages 3-5 years will be introduced to the basic body mechanics and technical skills of soccer. 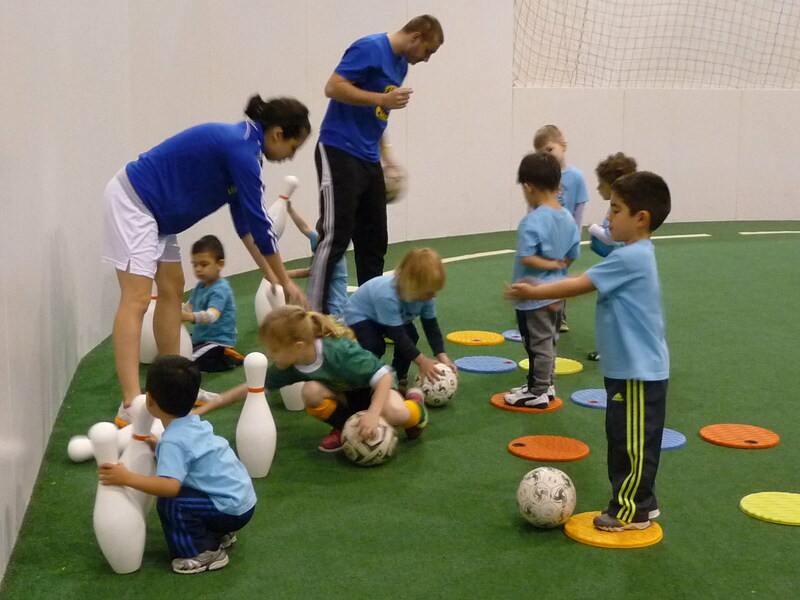 Led by professional Team Chicago Soccer Club trainers, our Feet First curriculum uses fun activities that teach foundational foot skills and promote balance, coordination, and spatial awareness. Enroll your child for one or three classes per week. Classes are ongoing and can be joined at any time for a pro-rated registration fee. Participants should wear athletic clothing and gym shoes. Shin guards ARE required for the 3-5 year old classes. Program held indoors at the WAA Sports Center, 2323 Liberty St in Aurora.